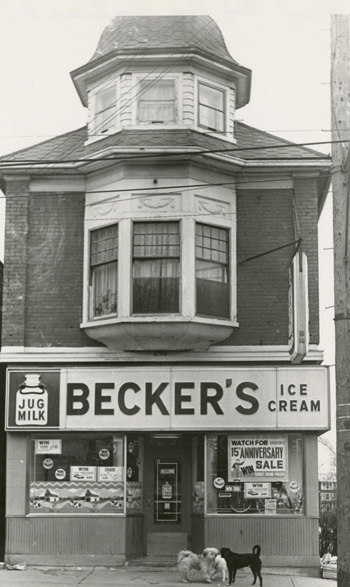 In 1957, the Becker Milk Company Limited opened their first five Becker’s convenience stores with the vision to become an established and recognized convenience store brand in Ontario. Today, Becker’s remains a favourite stop for Ontario residents with a resurgence plan to refresh the brand and make Becker’s better than ever. They are set for success with a legacy of innovation and customer satisfaction. 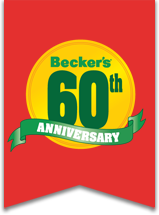 Founded by Frank Bazos, Becker’s was one of the first companies to innovate the way corner stores had operated for years. The Bazos family were already established, successful entrepreneurs in the Toronto area, when they changed the way Canadians would purchase milk forever— in one-gallon returnable jugs. Becker’s was also the first Canadian convenience store chain that was open seven-days-a-week for fourteen-hours-a-day. Customers had long waited for the convenience of shopping after hours and were willing to pay a premium for it. 500 stores, in 120 cities and towns throughout Ontario. Becker’s was known for its dairy line including jug milk and chocolate milk. In fact, their chocolate milk was recognized for using 3 per cent milk creating a thicker and smoother taste. Other signature Becker’s products that customers enjoyed were egg nog, jungle juice, Becker’s bread, ice cream and their delicious popsicles. Their stores were also popular because they maintained the highest standards of quality, cleanliness and fast service. Much to our beginnings today Becker’s is driven by our parent company Couche-Tard and our family is larger than ever and with this massive family we still believe Becker’s is a brand that brings memories of happiness. Becker’s has plans to grow and currently with 45 stores and counting Becker’s will be in key locations in Ontario.